It’s the Super Blue Blood Moooonnn!!!!! It’s coming! What does it mean? What do I do? What if I don’t do anything? This and many other questions have been popping up in my text messages, Facebook Messenger, Instagram, email. I decided this looked like the best time to start posting again. 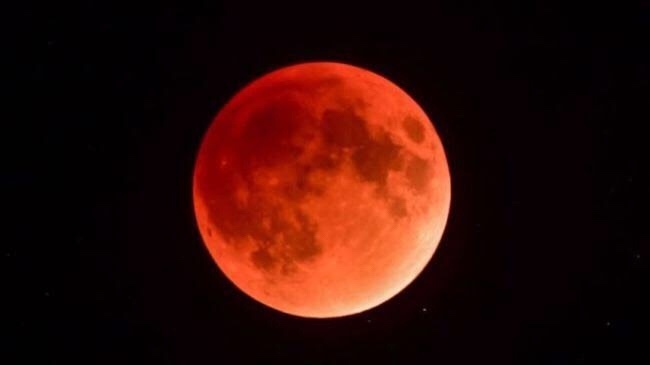 I think that the best thing that I’ve seen posted about the spiritual or metaphysical significance of this lunar spectacle is to look at this as an opportunity to “focus on what you are focusing on.” Where’s your energy directed? What thoughts are you predominantly thinking? Is the thing that you’re thinking the most about your fear or your vision? If you are being honest with your Self are you really using your time and energy on creating or worrying? Okay now stop and take a breath. It’s all good. Regardless of what you’ve been doing, this very special full moon is providing the perfect opportunity to shift your focus on what you really want to be creating in your life. See the thing to remember is that things don’t magically appear in your life. When you are living your life fully in flow, riding waves of joyful experiences, it is because daily you made a long series of small shifts to keep your energy flowing. • Begin with gratitude – no matter what you are creating for your life, you must begin with stating what you are grateful for right NOW. This is not negotiable. There is also no rule about how you express your gratitude. It’s your gratitude, express it in whatever way feels right, and just make sure you express it. • Write a mantra – what are you creating? Write an “I am” statement as a mantra for the next 30 days. “I am a paid speaker.” “I am an author.” “I am a homeowner.” These are all ones that I’ve used in the past. Write an “I am” statement about who you are. “I am loved, loving and loveable.” This is one of my favorites. • Charge crystal water – create an elixir of crystal energy. Then drink it, thinking your mantra. I liked this article: http://www.crystalguidance.com/articles/gemelixirs.html you can also google “crystal water or crystal elixir”. There are a few options to creating it. Don’t get too worked up. Intention definitely counts toward getting the energy “right”. • Journal about what you are creating in your life. Notice I’m not saying “want to”. This is about what you are doing, not what you want to be doing. State your vision as an action statement. What are you doing? This is the most important thing to remember, whatever you do or don’t do is perfect. This is your life. You create a new day every day. What you decide is the right choice for you is exactly that, right. See if you can carry this energy to the next New Moon. That is the Lunar New Year and a great time to refine your goals for the year. First focus on your, then focus on what that means for your year. Author, Let’s Get Stoned- using stones & crystals to create a life that rocks!